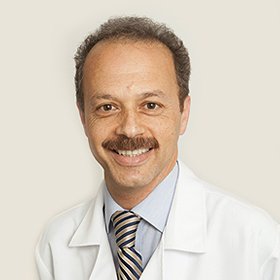 Dr. Jamal Majd is committed to providing holistic and well-rounded care to all his patients. Not only is he passionate about his career, but it takes it upon himself to continuously improve his knowledge and technique. 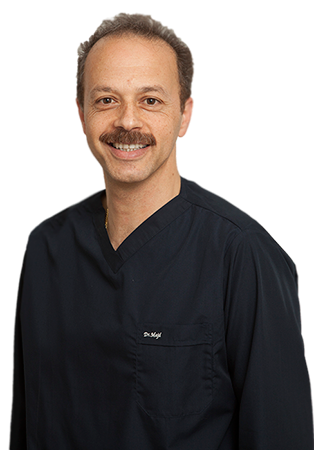 Upon passing the Canadian Dental Association Board Exam, Dr. Majd also started instructing at the University of British Columbia. Come into Bright Dental Clinic for a full examination, or just to chat. We speak English, Punjabi, Farsi, and Portuguese! Our thorough anesthetic services and digital radiography will ensure that the procedure will be done comfortably and efficiently! At Bright Dental Clinic, we offer a variety of restorations for any unfortunate cavities. We offer safe, expert, and comfortable restorative materials. Crowns and bridges are strong porcelain structures, which closely match the makeup of natural teeth. They are used to restore your teeth to their natural strength, esthetic and function. An agonizing toothache is not only is unbearable to deal with, but it can threaten your overall health. It can negatively hinder you from sleeping, eating, and even concentrating. Our hygienist, Neetu, and Dr. Majd will work with you to prevent any major dental emergencies as best as possible. Regular preventative care is important to ensure the optimal health of your teeth and gums. Our computerized imaging system removes the need of toxic chemicals, and also allows for the use of less radiation. Cosmetic dentistry has become a forefront in dentistry in the past decade. This particular field, which is Dr. Majd’s favourite part of his career, can help all patient achieve not only a healthy smile, but one that makes you want to smile! Commonly referred to as “ideal treatment” for replacing missing teeth, dental implants are a very effective fixture that will last a lifetime. They are increasingly used to replace other types of dental treatment as well, such as bridges and removable partial dentures. Dentures are removable prosthesis used to replace some or all of your dental arch. We work closely with a denturist and dental lab to construct the best fitting, most comfortable, and esthetically appealing denture.